I have a confession: I really like decorative pillows. I have another confession: I am very picky when it comes to pillows and rarely find one that completely satisfies what I want. A few months ago, I bought three pillows from a big box store. They were on sale, and I liked their fabric. But when I brought them home I realized why they were on sale– they were flat as a pancake with barely any stuffing. Ugh. So now I have to use three pillows all at the same time just to have enough cushion. The pillow forms from places like Pottery Barn look awesome but also a little steep on price. But I know how to sew, so why not make my own? 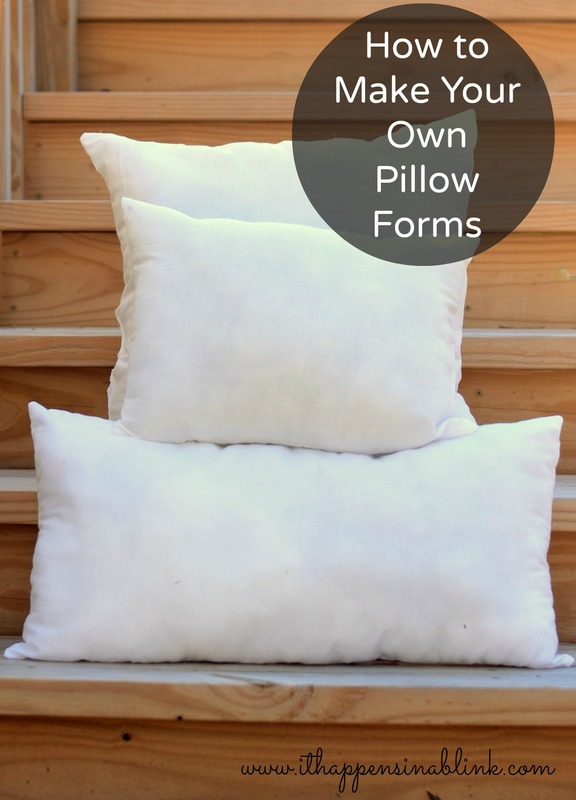 Here’s how to make your own pillow forms or, as they are otherwise known, pillow inserts. I’ve included two variations. 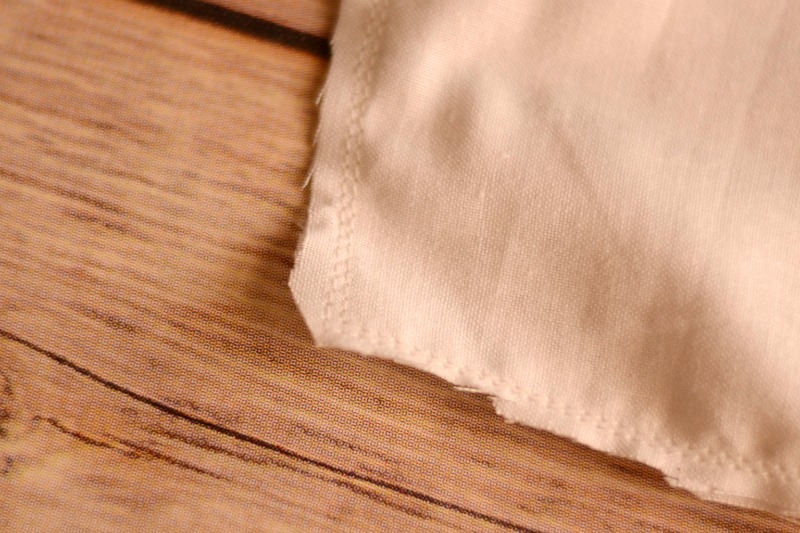 This is a great beginner sewing project, and they are quite inexpensive. I already had all the materials on hand in my stash to make three, so they were essentially free to make! Cutting the material: Pick what size pillow form that you would like to make. I made a few, and I had actually chosen a few sizes from the Pottery Barn pillow options that I liked. For this pillow I made a 16″ by 20″ form. 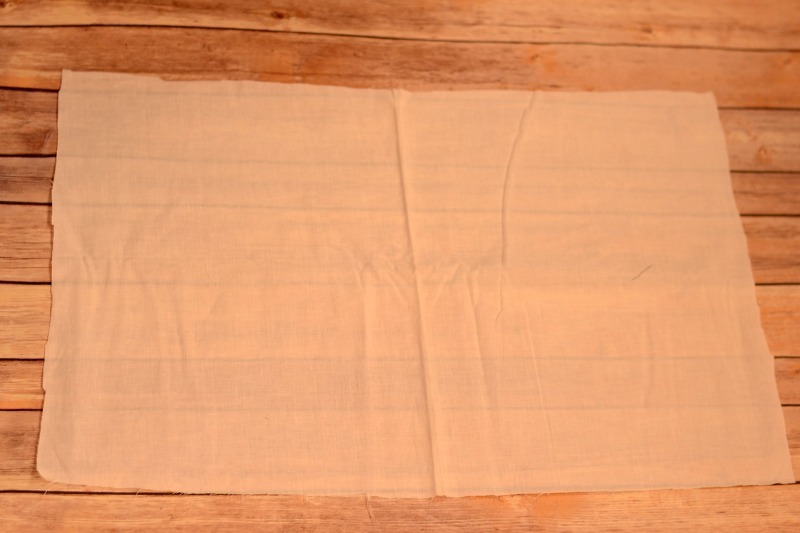 For a pillow form this size, I cut 2 pieces of fabric that were each 17″ and 21″. Pin the pieces with right together (if you have a right side and a wrong side) and sew using a 1/2″ seam allowance. 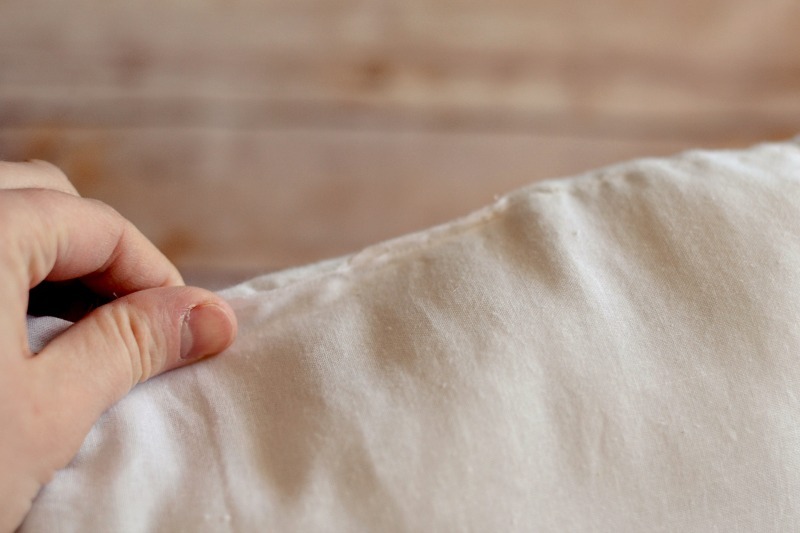 Be sure to leave at least a 3″ opening for turning and stuffing the pillow. 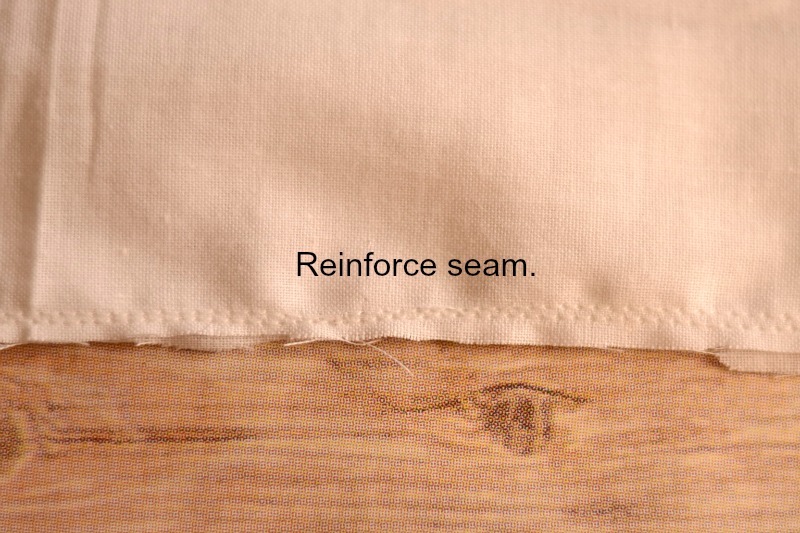 Reinforce the seam by stitching another row very close to the first (on the outside). Clip any excess from the seam allowance and clip the corners. Stuff the pillow to the desired firmness. If you like a flat pillow (heaven-forbid!) or a firm pillow, the great thing about making your own pillow forms is that they can be any way that you want. Be sure to spread the stuffing out to the corners, as well. With the seam allowances folded inwards, pin the opening together. Stitch the opening closed across the top using a 1/4″ seam or less. I find that stitching this way (as opposed to trying an invisible stitch) holds better. And since this is a pillow insert, the seam will not be visible. This variation begins with how the fabric is cut. 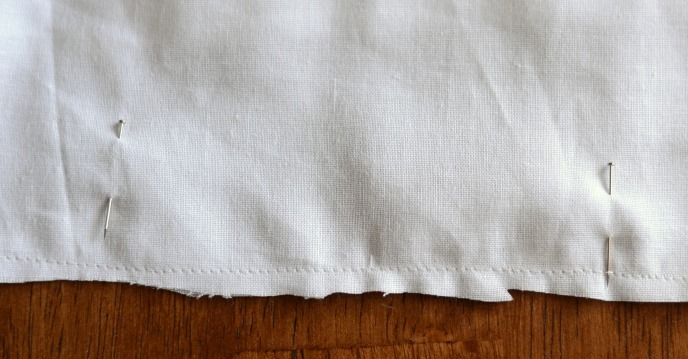 For a 16″ x 20″ pillow insert, I would cut a piece of fabric 32.5″ x 20.5″ (want the math? double one side measurement, leave the other the same, and add .5″ to each side for seam allowance). 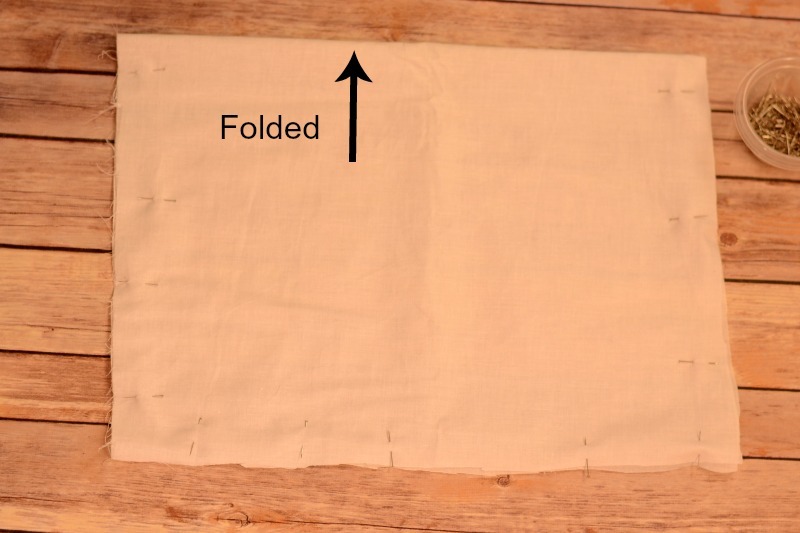 Fold the fabric in half and pin, then continue with steps 2-6 above. Now experiment with different sizes. You can virtually make any size insert that you want! Stay tuned in the coming weeks- we’ll be making fabulous pillow covers for them. lol Well, I think a lot of it has to do with your “stash” and using coupons for craft supplies, etc. I buy all my material at remnant prices or at thrift shops and keep it on hand. I had all the materials to make three of these on hand, so I only used in my stash. One large bag of fiberfill stuffed three large pillows. 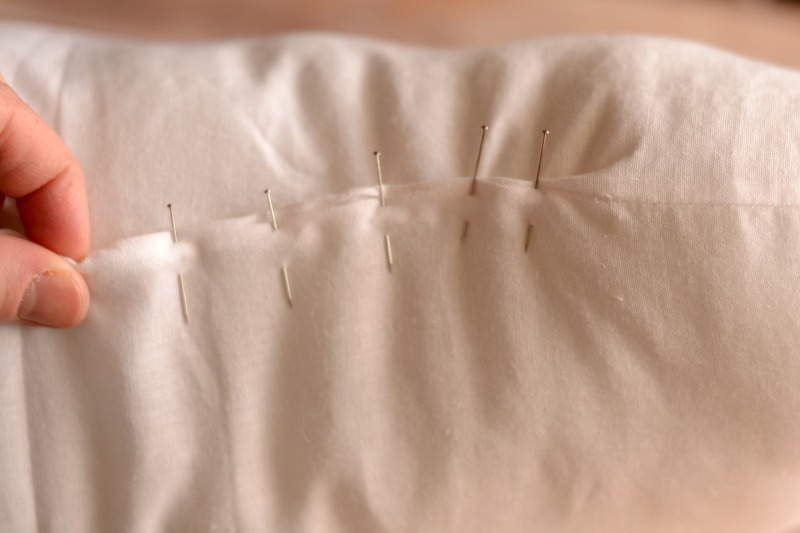 Could you use a pillow case with a zipper? Yes, you could make the pillow forms for any pillow case. I’m really a feather pillow girl…like the way they can be shaped. So I watch the clearance pillows at TJ and home goods along with thrift stores also buy feathers by pound and then go with a zipper . It really is cheaper in the end! Just like you, I am also very particular with the pillows I used. When I am out of town, I find it hard to sleep without my pillow..
I’ve been meaning to make some envelope style covers for our pillows, but I just haven’t gotten to it. I’ve never made a pillow form before, either though. You make it look easy! My daughter has been asking me to teach her how to sew a dress. maybe I will make her start with this simple project instead! Yes, start her simple so that she does not get discouraged. 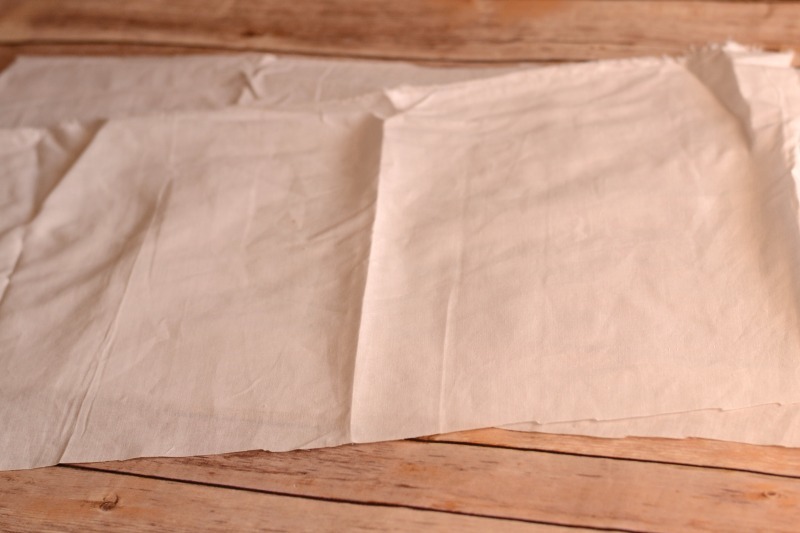 I’ll be sharing envelope covers for the pillows, and the possibilities there are endless! You made that seem so simple. I may have to give it a try. Wonder how it would work with flannel material? If you wanted to make a pillow that is not an insert, flannel will work great! 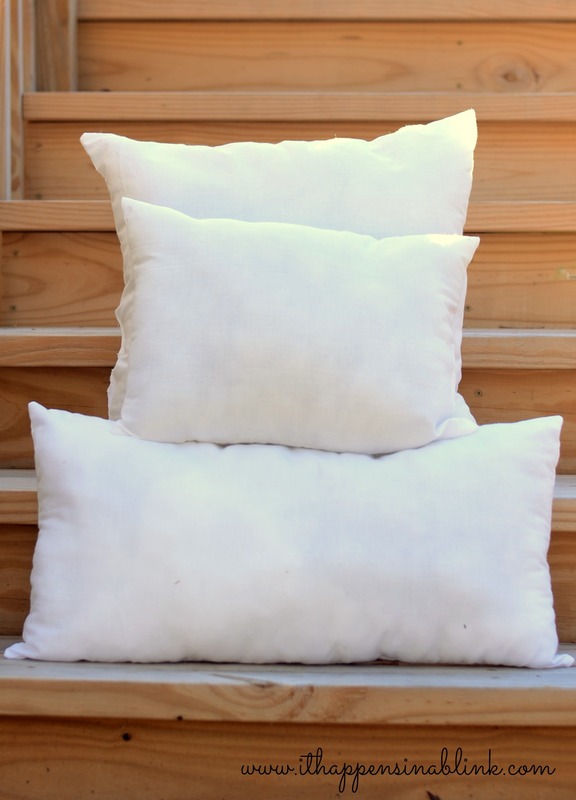 I used to make pillows like this all the time when I was little but I would use dryer lint to stuff them! Yes I was a bit imaginative. They’d be made of the leftover scraps from my mom’s sewing for the cover instead of white. What a great project..DIY pillow forms! 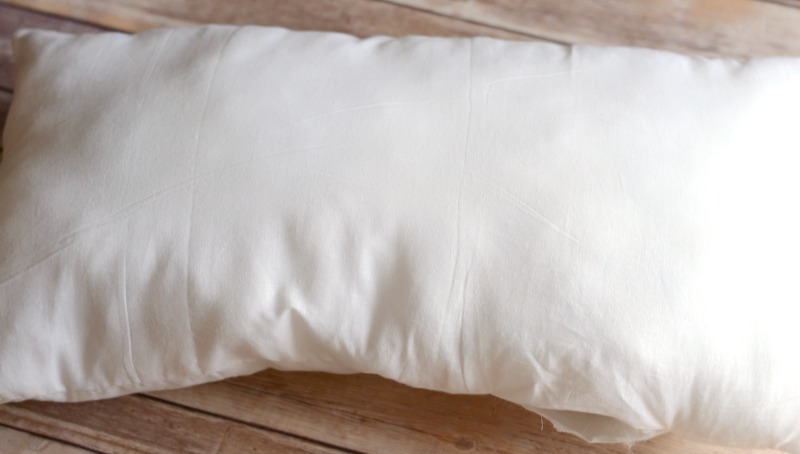 I LOVE it…..pillow forms can be pretty costly at Jo-Ann’s unless they are on sale! Yes, and our JoAnns is so far away that it’s hard to run out there whenever I get an itch to make a pillow. That’s a great frugal tip Carol. Thanks for sharing! What a great tutorial! Pinning this, and thanks so much for sharing at Creativity Unleashed! Thanks for stopping by, Jessi! Thank you for DYI tips. Can I follow your steps for a pillow with silk material? Yes, you should be able to. The silk material may need reinforcing (sewing a double stitch rather than a single stitch). It’s been a long time since I have sewn with silk, but, if I remember correctly, it is very delicate! How would one make a circular pillow? I am going to do this! I wonder if you could seem down the middle and make an extra large two headed pillow. Say if your partner steals your pillow in the night and sewing them together makes it so that they can’t. I’m sure that you could. Be sure to reinforce the seam by stitching over it several times, but I think it would work! Thank you so much for this tutorial! It’s the best one I’ve found so far. You are very welcome. Glad you found it helpful! 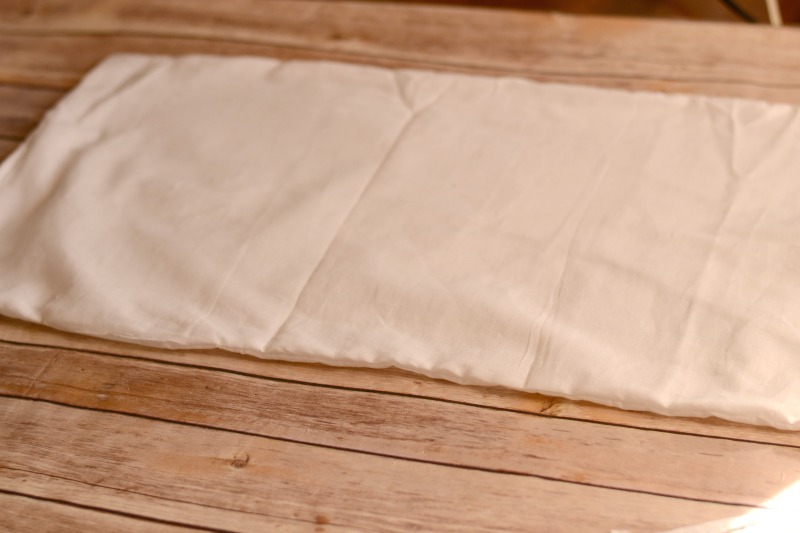 Another option is to use old sheets to make the pillow inserts! I can’t keep the fiberfill in the corners unless I overstuff the pillow and then it’s too firm for my liking. Any hint on how to make the fiberfill stay in the corners? Are your corners very narrow? If they are not as close to a 90 degree angle as possible, then that can make it difficult to get the fiberfill in there. Have you used the stuffing stick that usually comes in the fiberfill bag? That can help to stuff the corners in there. Sometimes I will overstuff the corners and then go light on stuffing the middle of the pillow. Then, when I close it up and start to use it, the excess will come from the corners to the middle, but there is still enough fiberfill in the corners. I hope all of that makes sense! This is a dumb question, but don’t you need to cut your fabric a whole inch larger than your finished size if you’re using a half inch seam allowance? Oops! Yes, thank you for catching my typo mistake! You need to cut 1 inch larger because you have 2 seams at 1/2″ each. That would not be a typo, that would be the correct size. Am I missing something? Hi, the post itself has been corrected, so Pamela is referring to a number that has was incorrect but has been fixed. Thanks for the great DIY instructions! 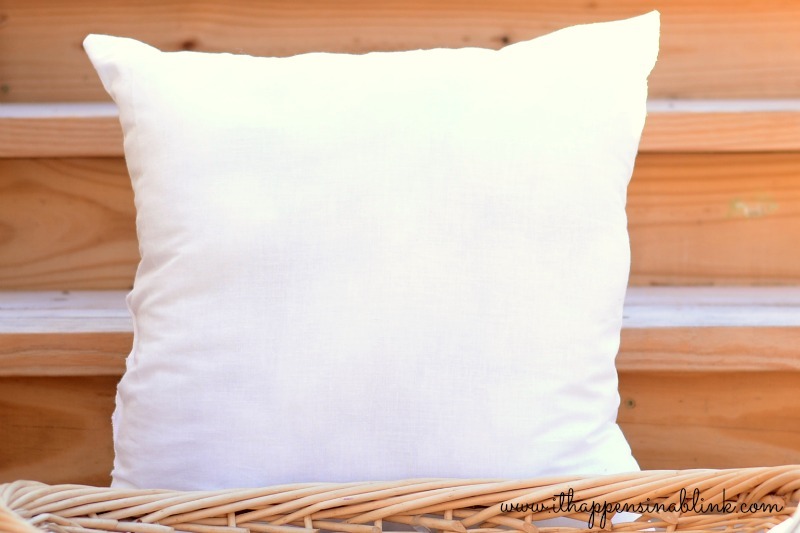 the form that gives the pillow its puffy shape can be a DIY project too! Making our own pillow insert allows us to make pillows of any size and shape, even something unusual or irregular. If you make a pillow insert that goes into an existing cover, don’t you have to allow for the fill expansion in the insert?